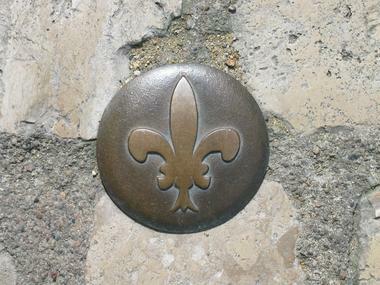 The Fleur de Lys walk takes you on a tour of the Le Puits Châtel district, home to a cluster of Renaissance-style private townhouses (hôtels particuliers). The Rue des Trois Clés probably originated from a shop with a three-key sign above it. On the left, an attractive half-timbered house is adorned with a decor of candelabra and lozenge mouldings typical of the Renaissance. Cross Rue Denis Papin and climb the steps to reach Rue Pierre de Blois. On the right-hand side, admire a fine late-16C door with a Latin inscription: Usu Vetera Nova, which could be translated as “to create new from old”, a reference to the restoration of this extremely old house. As you walk up the street, note the beautiful Renaissance doorways to your left. At the top of the street, note the Maison des Acrobates, to the left, with its slightly corbelled storeys jutting out into the street. The style of clothing on the tiny figurines sculpted out of the wood have enabled historians to date this house back to the reign of Louis XI: bonnets, padded shoulders and “poulaines”, a type of pointed shoe, all disappeared after 1480. On the other side of the square, the former parish church became Saint-Louis cathedral in 1697, when Louis XIV created the diocese of Blois. Follow Rue Couverte opposite, then Rue des Rouillis, to reach Place de la République, a square created in the 19C, and home to the Préfecture, Conseil Général (the council buildings of the Loir-et-Cher département, occupying a former convent), the Palais de Justice (law courts), as well as the Halle aux Grains, a former covered market and nowadays a theatre and concert hall. The architect of these monumental “halles” was also employed to restore the Château de Blois, hence the influence of materials (limestone and multi-coloured brick) as well as the design of the turret staircases in the corners of the building. 500m away, in Avenue Maunoury, the Haras National de Blois (a national stud and a private property) was designed in 1880 by Jules de la Morandière. Walk past the municipal library and beneath the town’s university buildings: to the rear, you’ll catch sight of the two towers of the old water tower, which is no longer in use. Continue along Boulevard Eugène Riffault as far as the Jardins de l’Évêché (gardens of the bishop’s palace). classicalstyle building which is nowadays home to the town hall of Blois. The creation of these garden terraces required considerable work which saw the dismantling of the town’s ramparts which ran through this district, as well as the reinforcement of the very steep slope. The statue of Joan of Arc, a reminder of her visit to Blois in 1429 prior to the siege of Orléans, dominates the rose garden below. 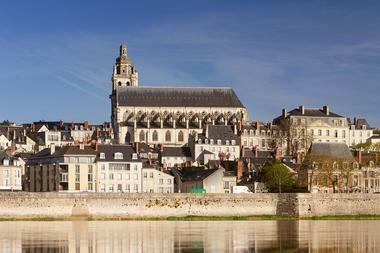 From here, you have the best view of Blois and the former bishop’s palace. Les bâtiments de l'hôtel de ville sont à l'origine le palais de l'évêque de Blois construit en 1700. Dans cette cour vous remarquerez un cadran solaire. Now cross the courtyard of the town hall, noting the large sundial on your right, as you head to Saint-Louis cathedral, which you enter via a side door. Rebuilt in Gothic style following a storm in 1678, it stands on top of several older buildings, including the Saint-Solenne crypt, which may date back to the 10C. The white colour of the light tufa limestone is accentuated by the minimalism of the stained-glass windows, created in 2000 by the Dutch artist Jan Dibbets. Walk down the “Petits Degrés Saint-Louis” steps to return to the lower town via Rue des Papegaults, which has preserved several fine Renaissance windows at nos 10 and 11. During the 16C, a wooden bird known as a "papegault”, the old name for a parrot, was set up here to provide target practice for bow and crossbow archers. In Rue du Puits Châtel, you can admire the courtyards of a succession of Renaissance-style townhouses (hôtels particuliers). Hôtel Sardini, a private townhouse at n° 7, has preserved fine arcading which is very similar to that found in the Louis XII wing of the Château Royal de Blois. The porcupine (the emblem of Louis XII) above the door to the spiral staircase is one of the rare examples that have survived intact and enables historians to confirm the year in which it was built. Cross the Cour des Miracles then walk a short distance up Rue de la Foulerie to reach Place du Grenier à Sel, once home to a salt warehouse. Here, officers were entrusted with the task of collecting the “gabelle”, a salt tax on this precious commodity which was transported from the Atlantic coast via the Loire. Place Ave Maria stands on the eastern side of the town’s old quarters: the whole of the area in front of you was rebuilt following the extensive bombing in the centre of Blois in 1940. At the end of this street, you can make out the Fontaine des Élus, a fountain dating from 1510. Return to the starting point of the walk via Rue du Poids du Roi and Rue du Chant des Oiseaux. Si tu as toutes les bonnes réponses (70/70), rends-toi à l'Office de Tourisme (23 place du château) une surprise t'attend ! 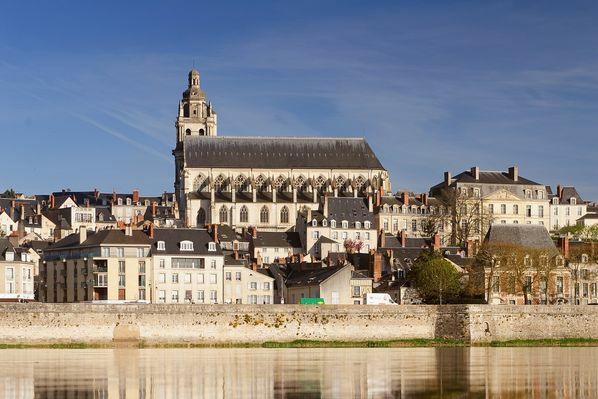 There is no review about Blois - Parcours La Fleur De Lys, be the first to leave one !